I've bought a stack of washi tapes from my good friends' online store, Cardpuccino. They sell really delicious looking washis and they make you drool just by looking at them. Just a few days back, I bought more washis from them. I am into grey recently and I bought most of their grey washis. 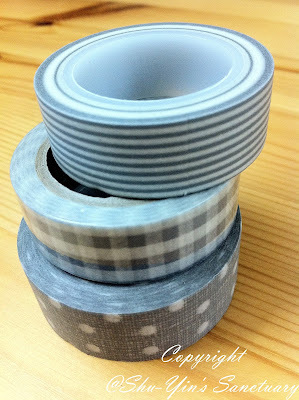 These 3 grey washi tapes are my most recent haul. Aren't they pretty, these different shades of grey of different patterns? 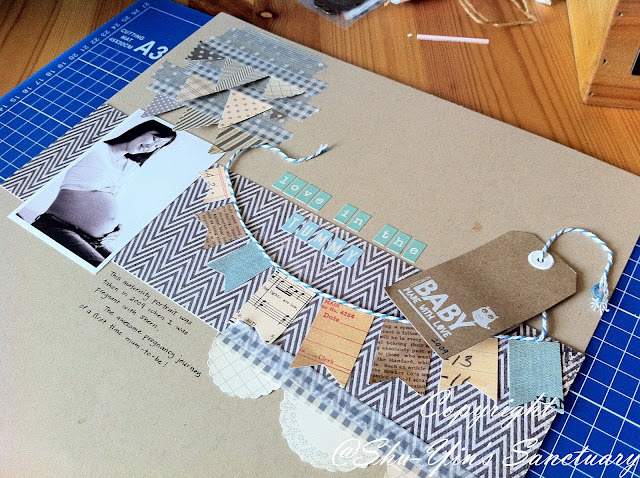 I came home and used these grey tapes and created a grey layout with a hint of blue on a kraft cardstock. Love the subtle colours of my layout. 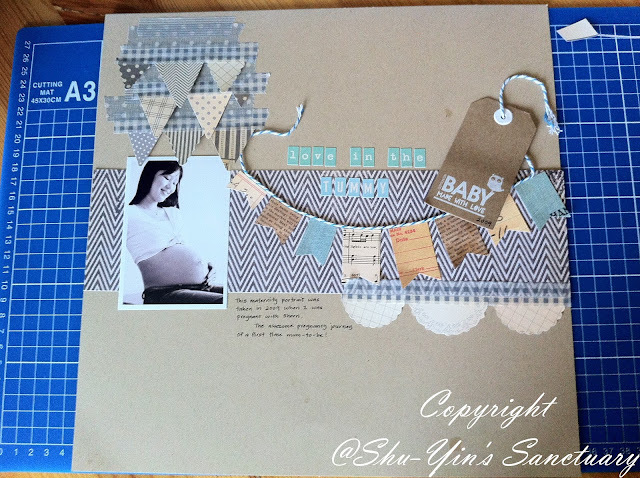 The top left banners were adhered using those grey washi tapes. Loving it. 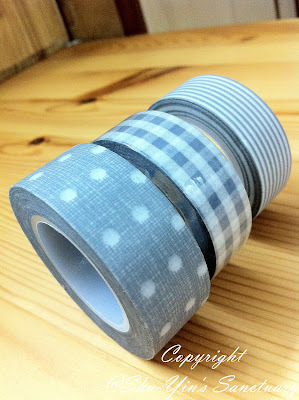 p/s - Check out Cardpuccino's website and their facebook page for beautiful washi tapes and more. I love grey too and that is a really nice layout! Can't wait to see more from you. Thanks for leaving the link on my blog.